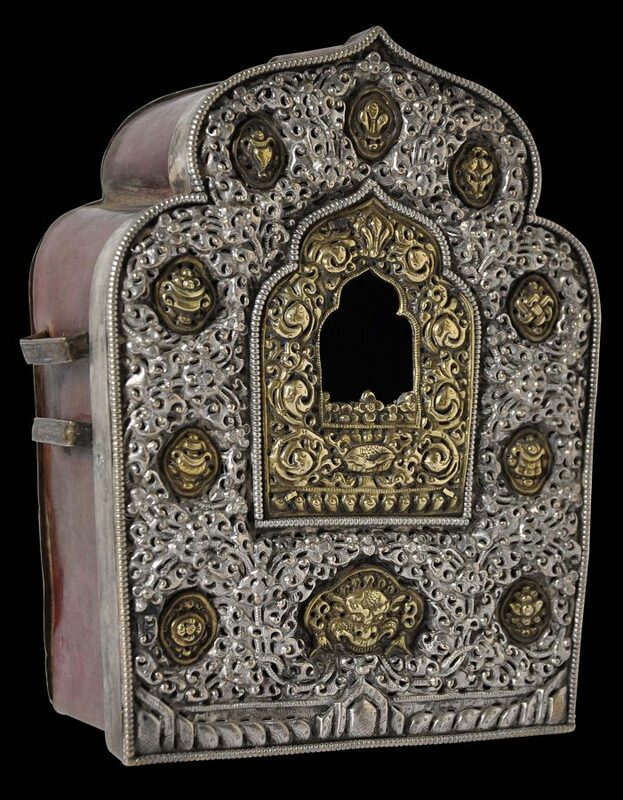 This fine example of a ga’u or portable talismanic shrine or box is of trefoil shape and comprises a finely pierced, silver front decorated with ten solid gold plaques and a further solid gold plaque around the central open ‘window’. 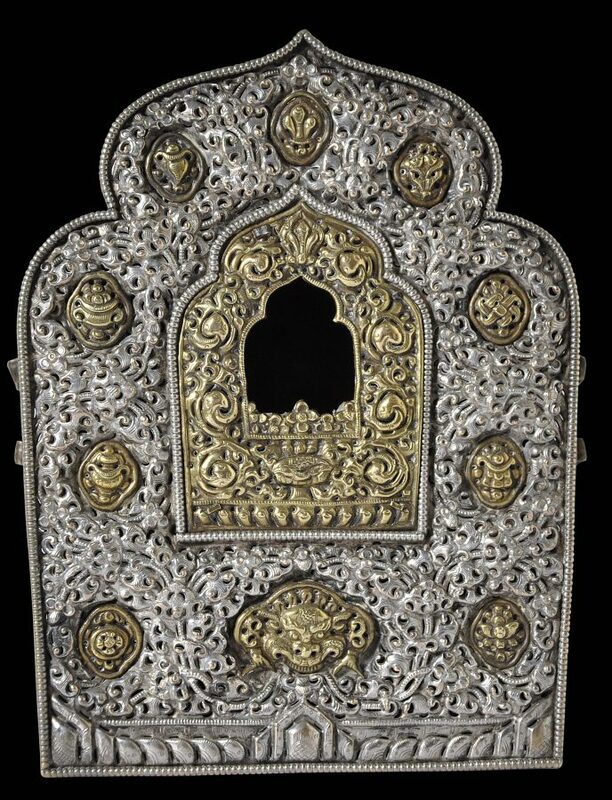 The silver and gold work incorporates various Himalayan Buddhist symbols and other figures such as kala masks and Buddhistic Himalayan symbols. The background is exquisitely rendered and shows delicate floral and leaf scrollwork that is typical of Eastern Tibet. 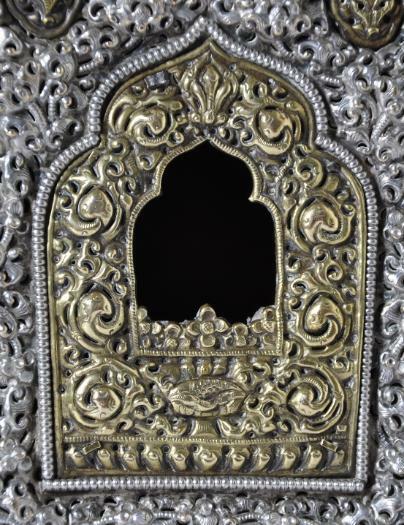 The window at the front is of arched form and would have permitted a small painted, clay figure of a deity, usually the Buddha, to be seen. 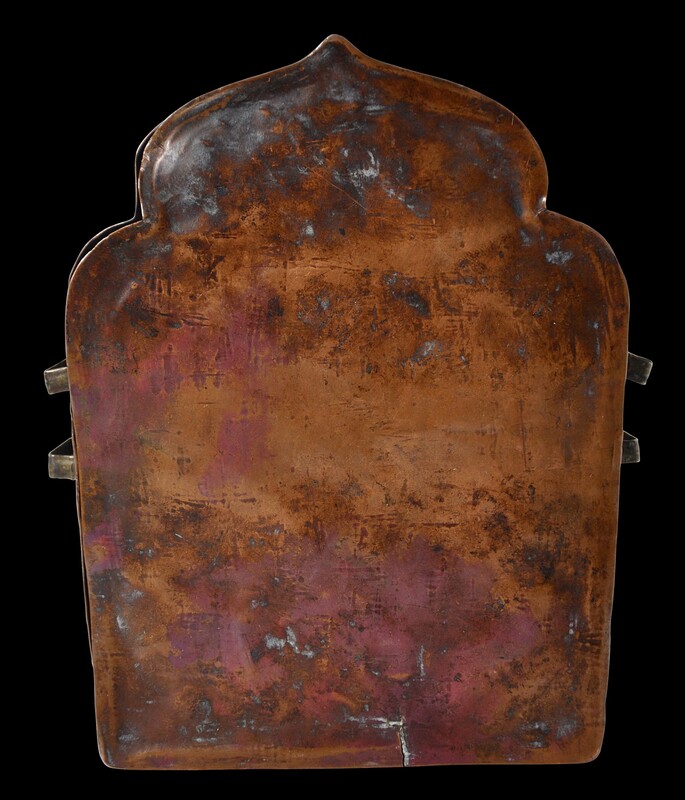 The sides and backing plate are of hammered copper, which has a rich-red-brown patina. Two pairs of applied lugs are to each side, and the sides also retain the original fabric casing. 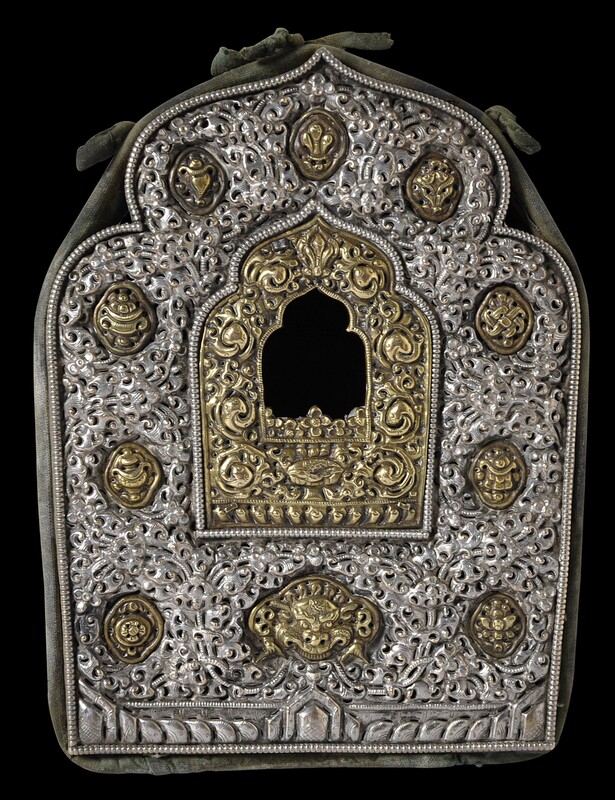 Ga’us are encountered only in Tibet or areas influenced by Tibetan Buddhism, such as Bhutan. No other Buddhist regions have anything like them. 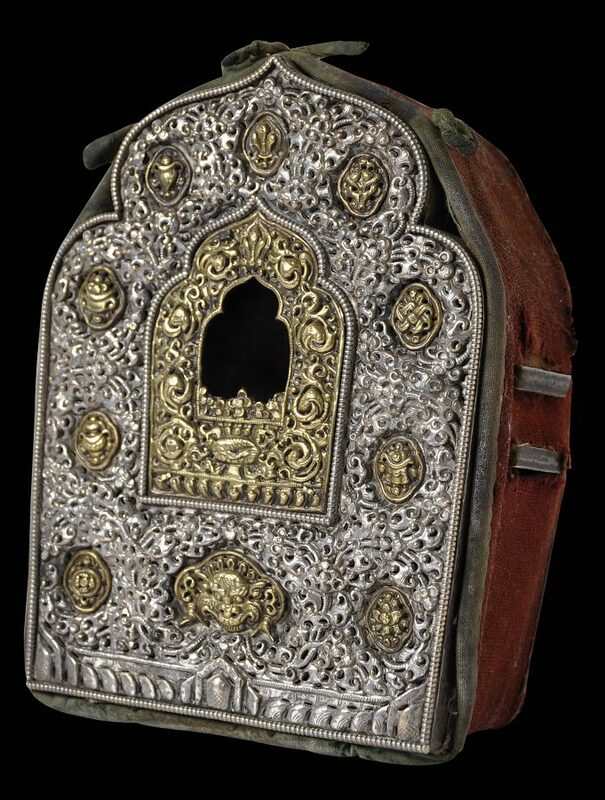 They were worn when travel was undertaken but otherwise were stored on the domestic altar. Pal, P., Art of the Himalayas: Treasures from Nepal and Tibet, Hudson Hills Press, 1991.